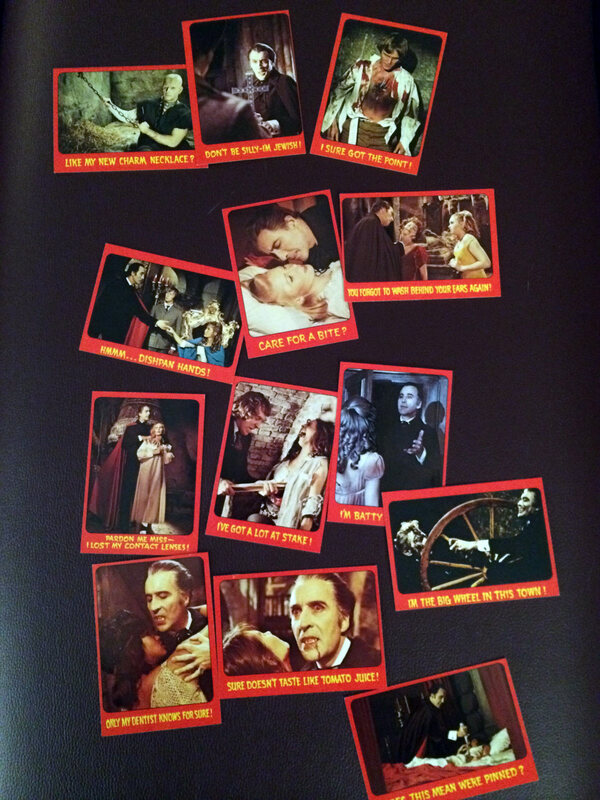 Given the fact that the great Christopher Lee passed away this last year, I could think of nothing more fitting than this for my final Halloween item-- a superb bit of 70s monster goodness: Hammer Horror trading cards from Topps released in 1976! 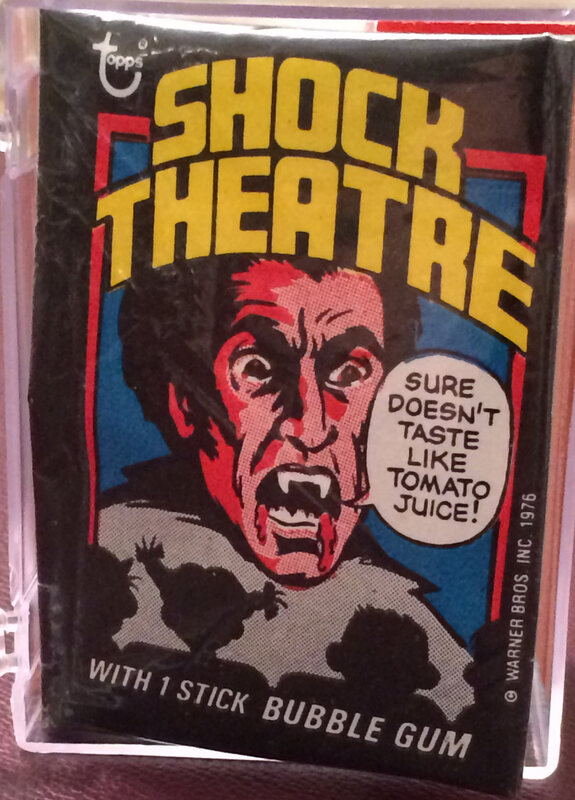 Yes, believe it or not, Topps released a set of Shock Theater trading cards based exclusively on Hammer films. 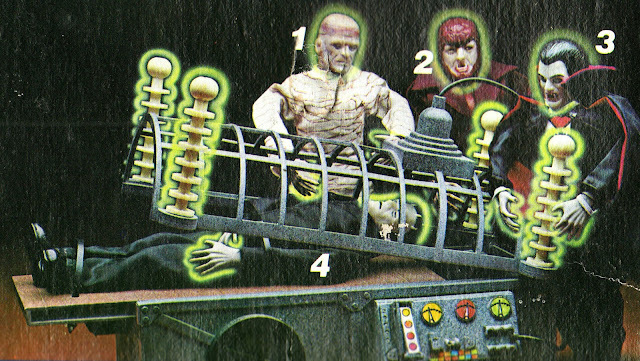 I am not a huge trading card guy, but I go gaga for monster cards, and these are some of the best. Close up of some cards. 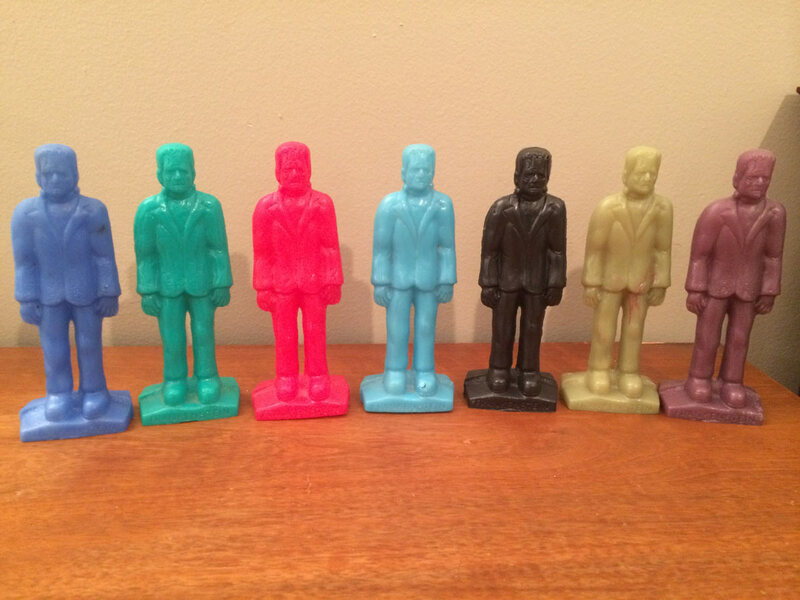 Completing a set of these is an expensive proposition, but well worth it. 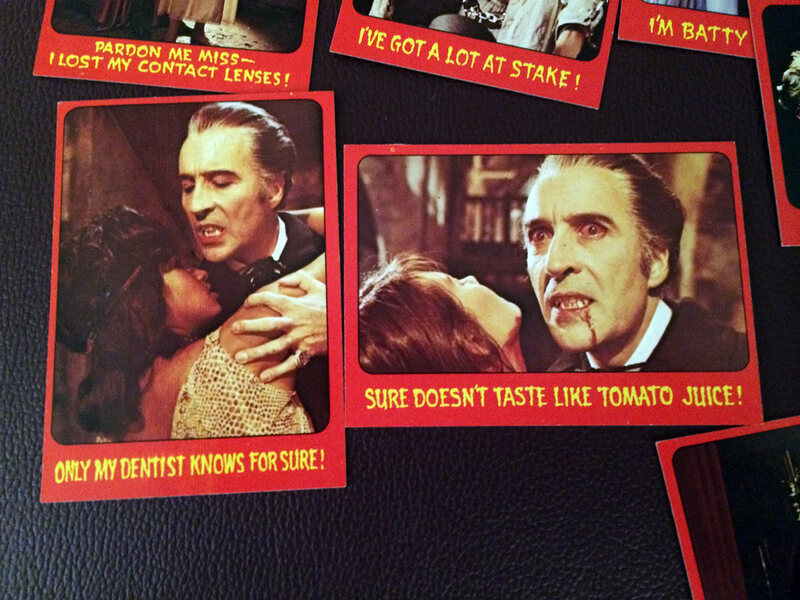 Here are a pair of card backs with jokes on them... 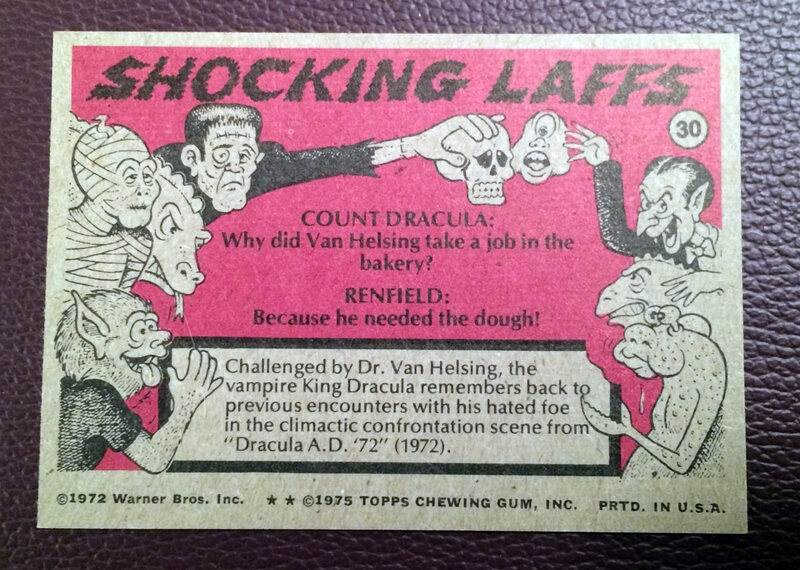 Shocking Laffs indeed! Thanks Matt, now I'm off to Ebay! 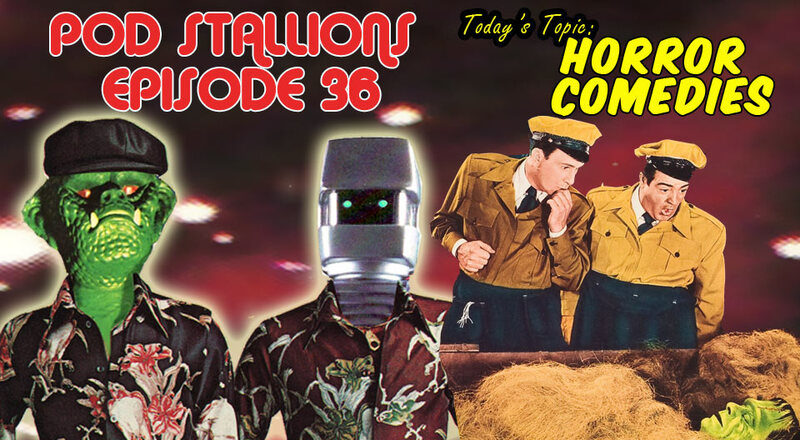 A special Saturday episode of PodStallions to celebrate Halloween. We actually lost our Halloween episode due to a computer glitch, so like champions we recorded a new one yesterday. Episode 36 is dedicated to the lighter side of horror as we tick down a long list of horror comedies and give our thoughts, everything from Abbot &Costello to the Lemon Grove kids to Young Frankenstein and even more modern classics like Beetlejuice and the academy award winning Jekyll and Hyde...together again. Well here is something I've never seen before, thanks to my buddy Matt for sharing. 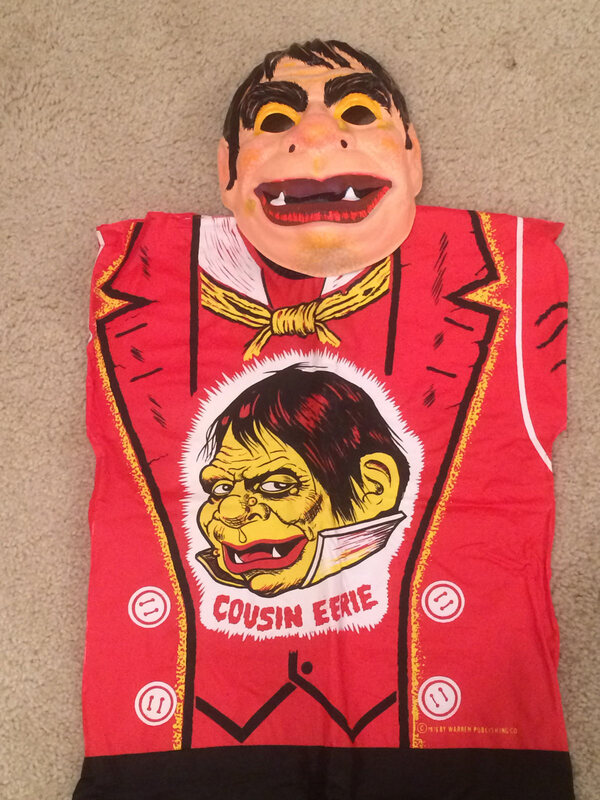 This is a Ben Cooper Cousin Eerie Halloween costume based of course on the mascot for the Warren magazine Eerie.that ran for nearly 20 years. And it's a great costume too! Nice mask and smock action here. 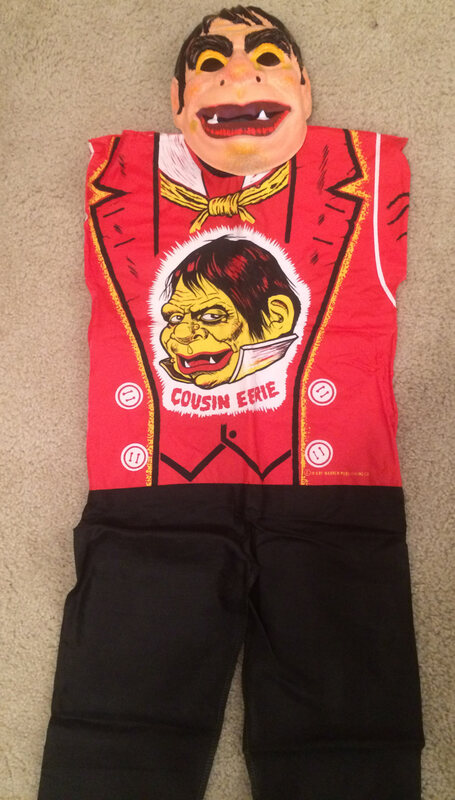 According to Matt, there is a costume for "Uncle Creepy" as well but it must be rare as he doesn't own one. 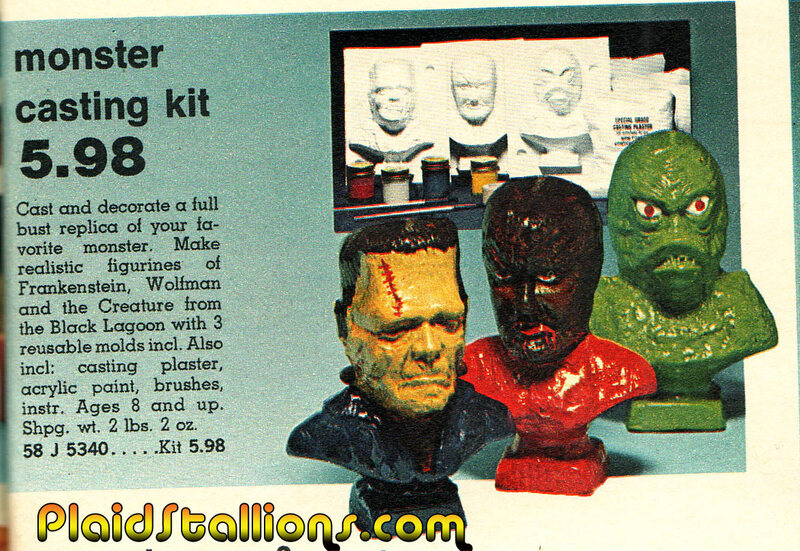 It wouldn't be Halloween without me waxing poetic about my favourite monster toy line of all time, the Lincoln Monsters. 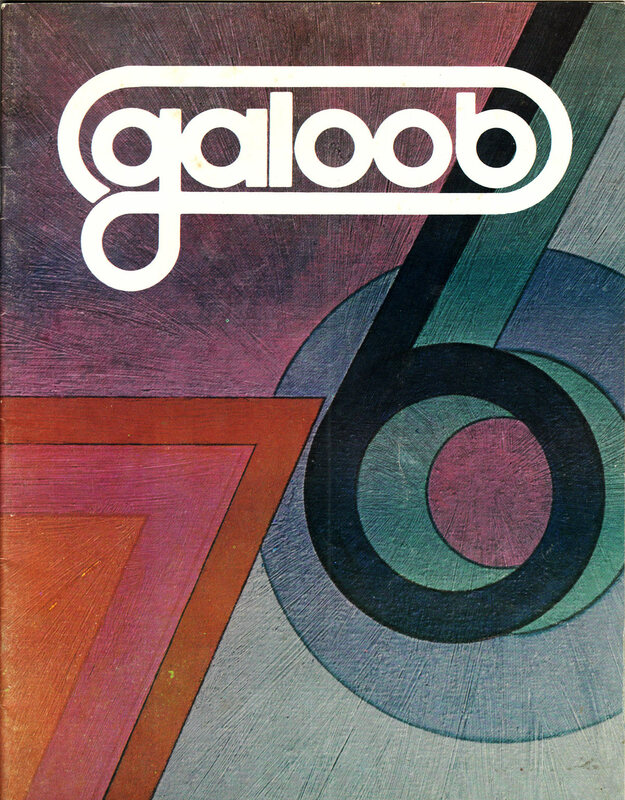 This year I came across one of my absolute grails, in the form of finding the 1976 Galoob toys catalog. 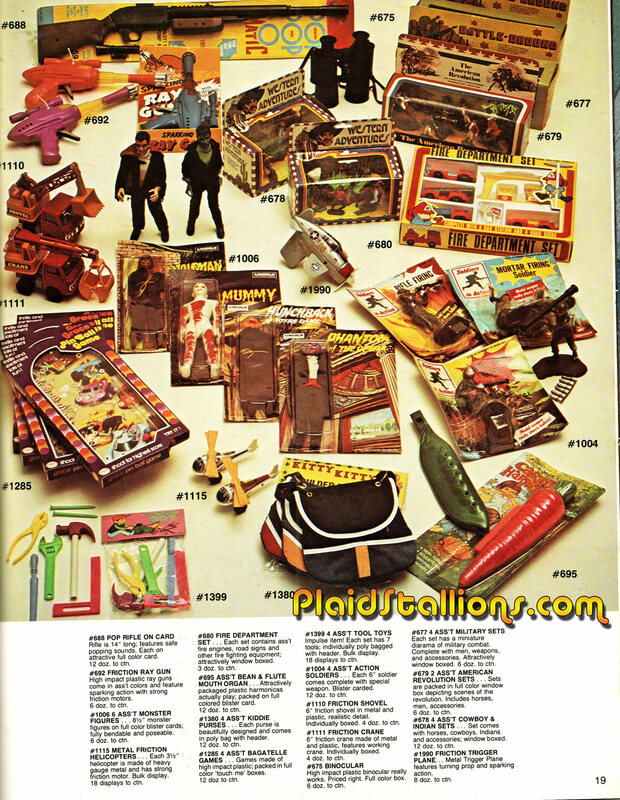 Although Galoob was later known for licensed items and things such as Micro Machines, 1976 saw them as more of an importer of Hong Kong novelties including items produced by Lincoln International. 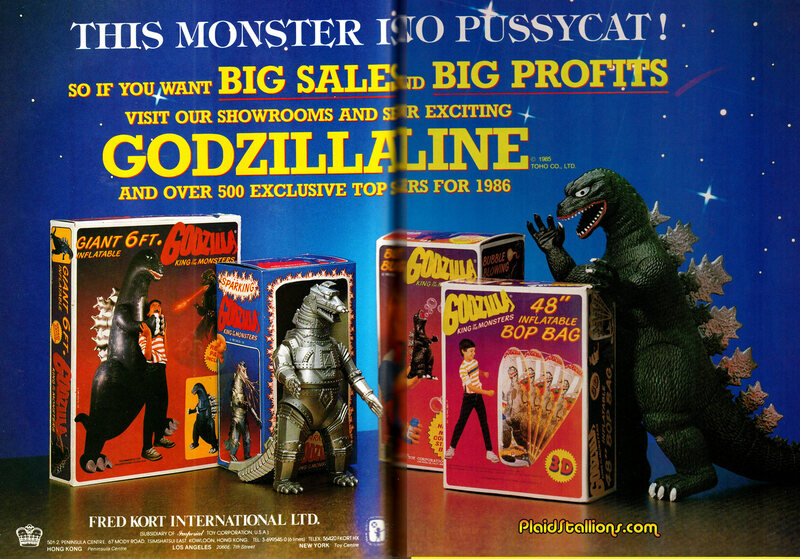 This ad is taken from a Hong Kong trade magazine, showcasing the Imperial Toys Godzilla merchandising blitz. 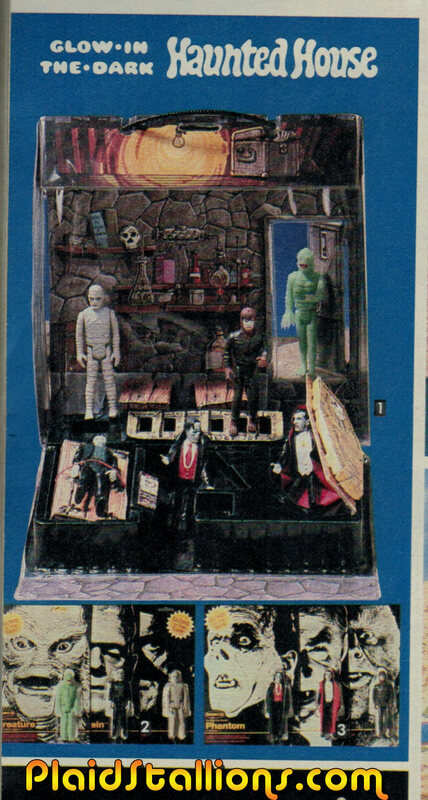 I love stuff like this but I'm kinda mad I never saw that Mecha Godzilla at retail, that would have been soooooo mine. New Pod Stallions this Friday, all about Godzilla! One of my favourite monster toys of all time is the Remco Monsterizer, even though it doesn't a have ton of play value, it's just such a nice and thoughtful prop. I was happy to discover that mine actually worked the other day and it inspired me to make this little video short all about it. Special thanks to my ever patient assistant, my daughter for her hand modelling. Hope you enjoy it! 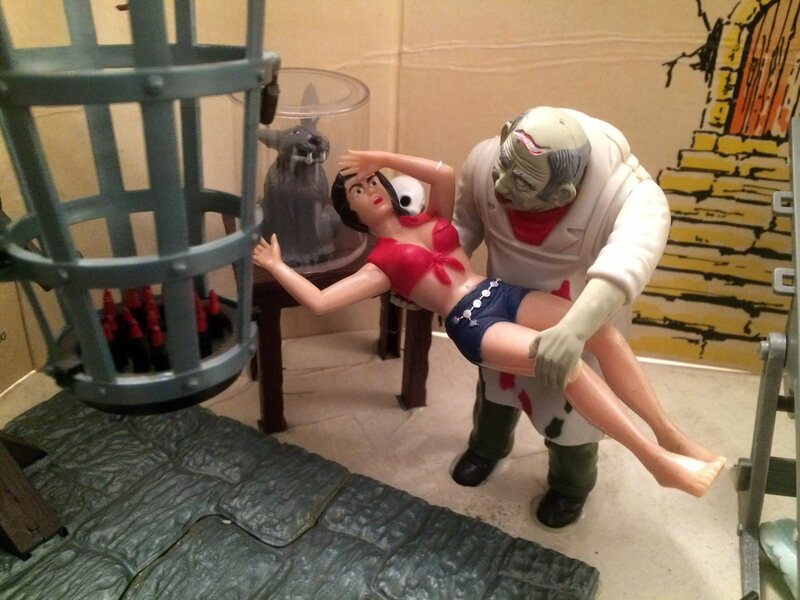 What better time to do a photo review of a shiny new Godzilla toy than the month of October? 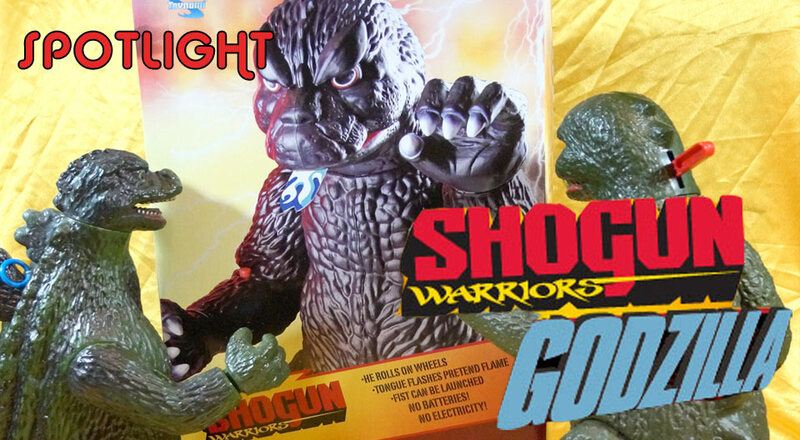 This isn't any Godzilla but Toynami's retake of our childhood classic, the Shogun Warriors Godzilla. 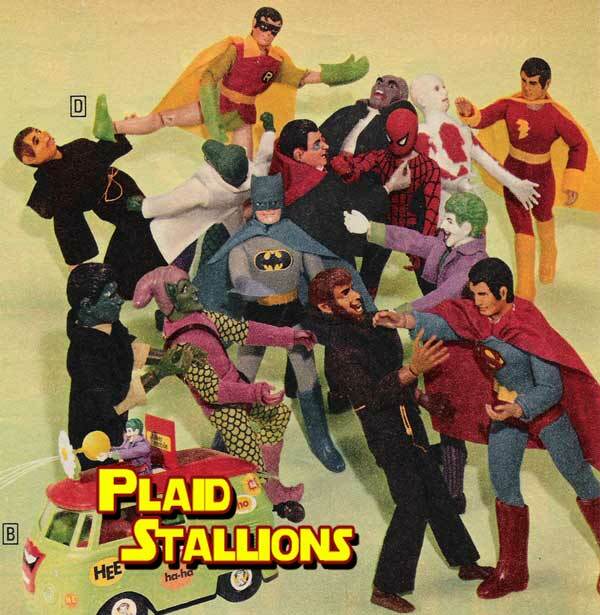 I tried to resist this but seeing as I was denied the original as a kid, it was inevitable. So let's take a long loving look at the king of all monster shall we? A very comprehensive after the jump! 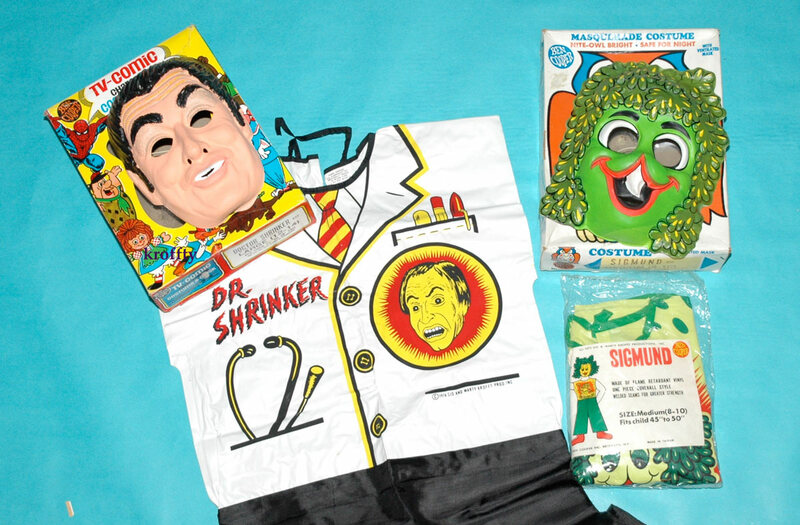 One of the biggest influences of my childhood were the Saturday morning programs created by the famed Canadian brothers Sid and Marty Krofft. 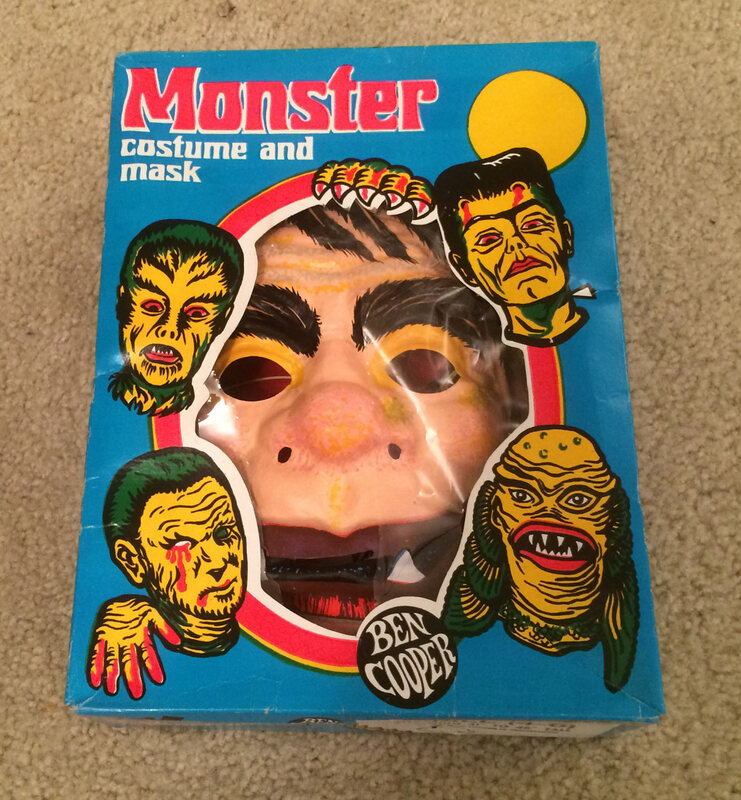 I don't think I was alone judging by the amazing variety of Halloween costumes available almost every year of my childhood. 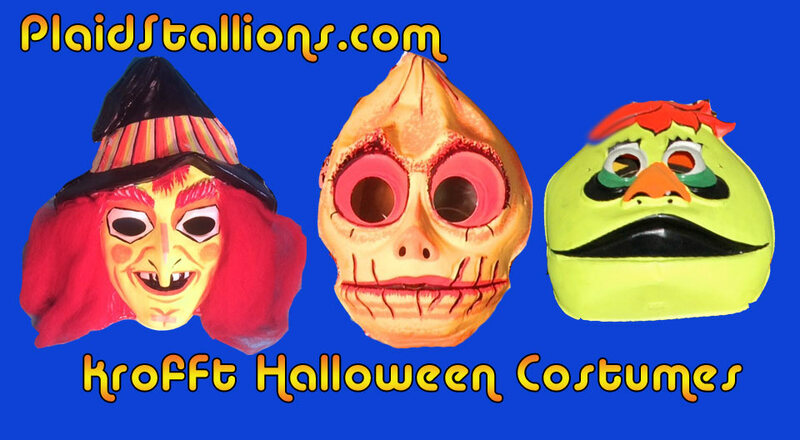 the Sid and Marty Krofft Halloween Costume Gallery! 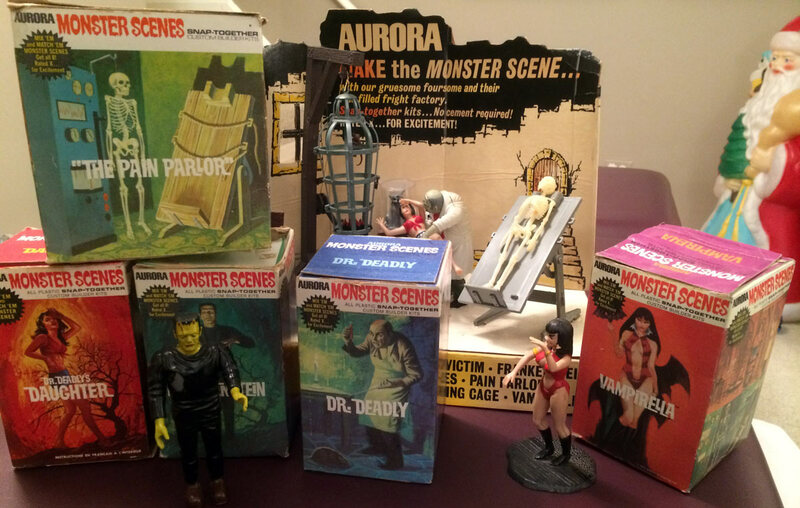 Every year I post about the Rapco Monsters along with the phrase "Why don't I own these?" This year is no different. 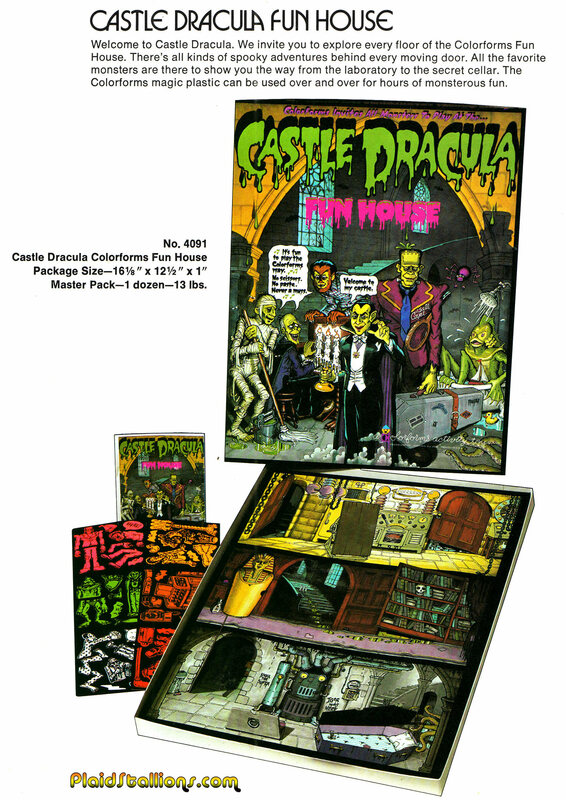 A marriage of Monsters and colorforms comes close on the importance scale to chocolate and peanut butter in my house. 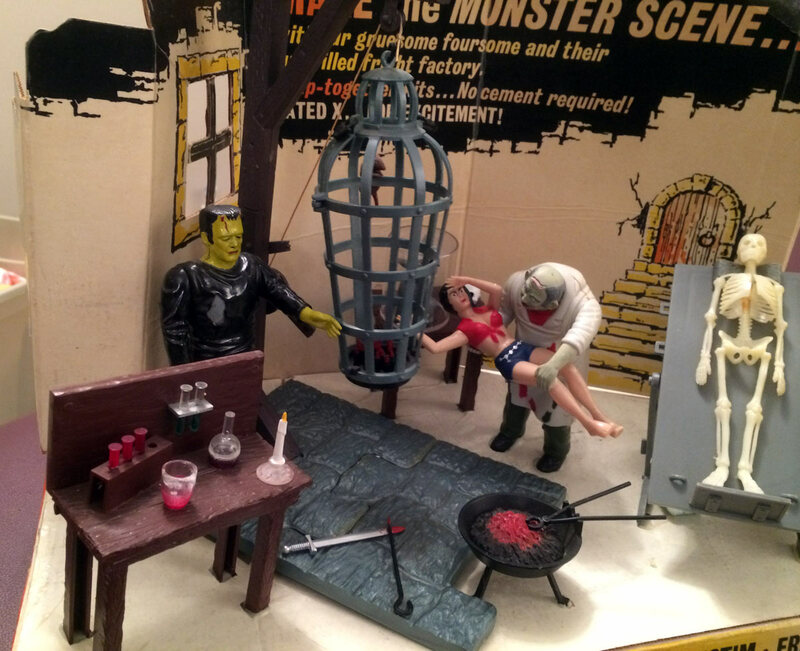 One of the reasons I love October is I get to talk about Monster toys, in my top five are the Remco monsters and their awesome, wonderful haunted house playset. More on these guys next week. Turning the reins over to my buddy Matt today, who provided not only the photos but the prose as well. Take it away Matt! 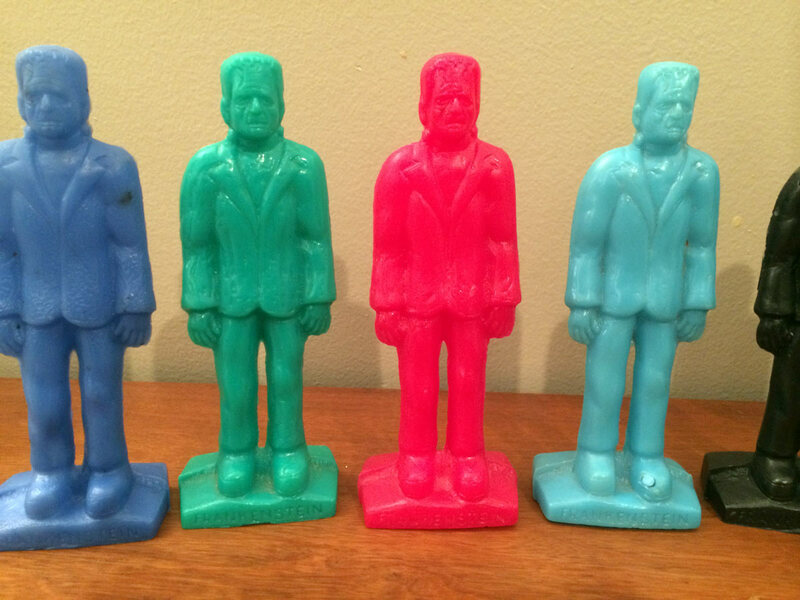 These are the wonderful, magnificent, Mold-A-Rama Blow Mould Frankensteins. 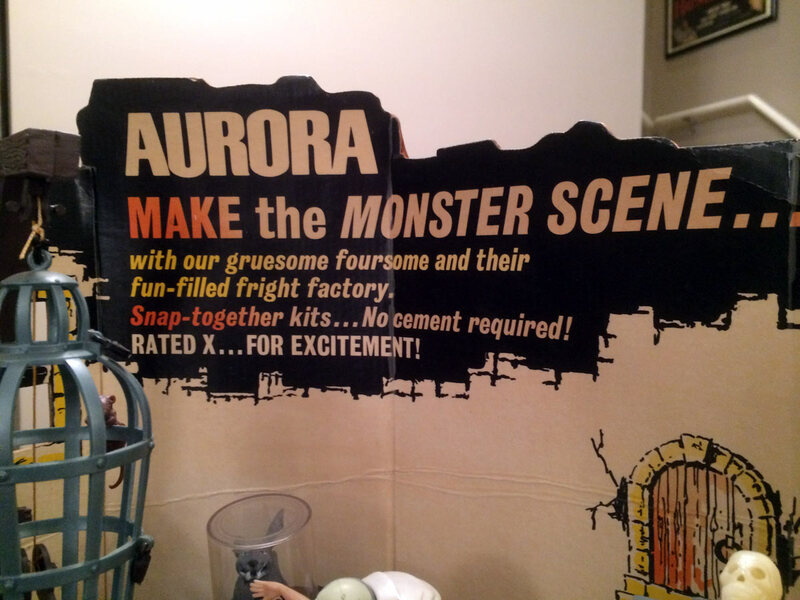 Mold-A-Rama first appeared in the mid-60s, and was a staple of the Museum and Zoo experience for lucky kids in the 60s, 70s , and 80s. 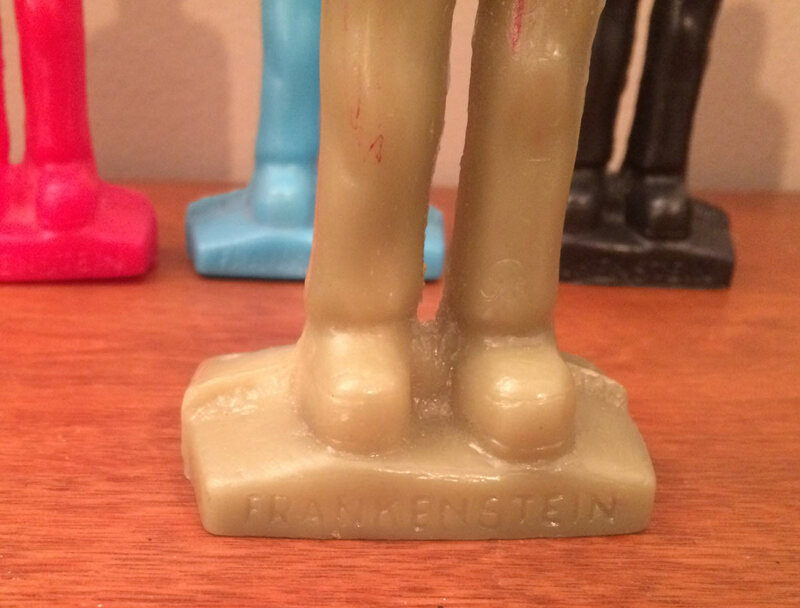 For around $1, you could watch a vending machine make a version of your favorite museum or zoo souvenir using an injection mold. The piece would come out of the machine scalding hot, and have a wonderful plasticky smell. It would feel like candle wax. At zoos you would frequently get Gorillas, Elephants etc. At Museums, you could Space Shuttles, Presidential busts, The Space Needle etc. 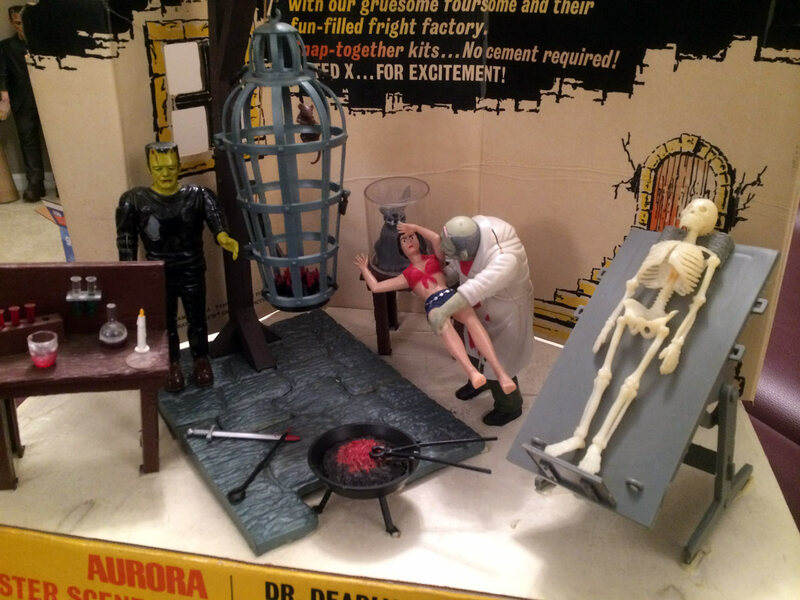 This Frankenstein is one of the best and most sought-after Mold-A-Rama creations. 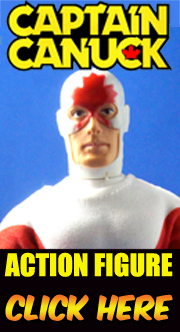 He was made from the 60s through the 70s. 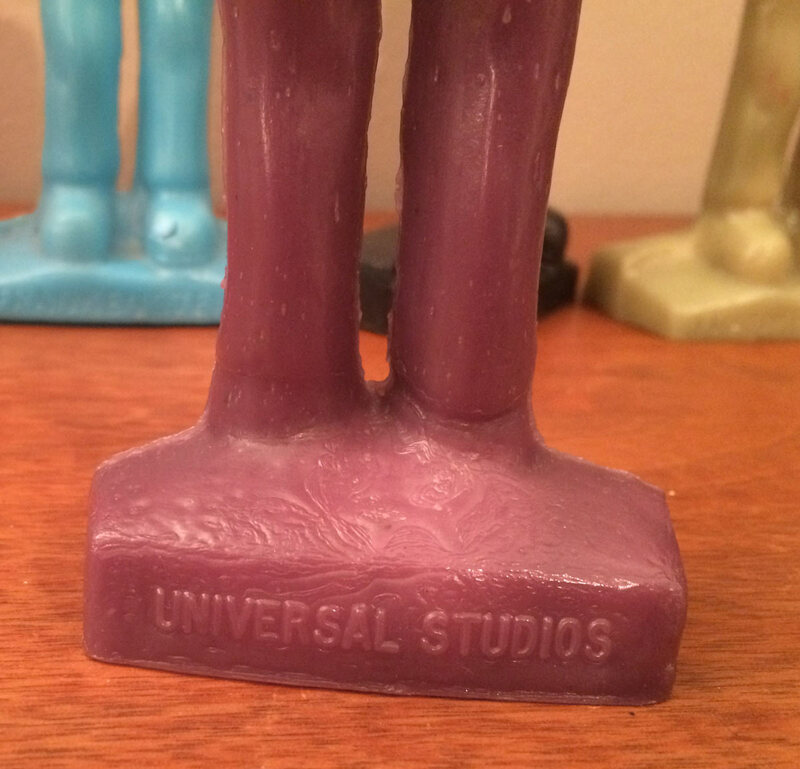 His copyright on the back sometimes says "Universal Pictures, Co" and other times says "Universal Studios", depending on when it was released. 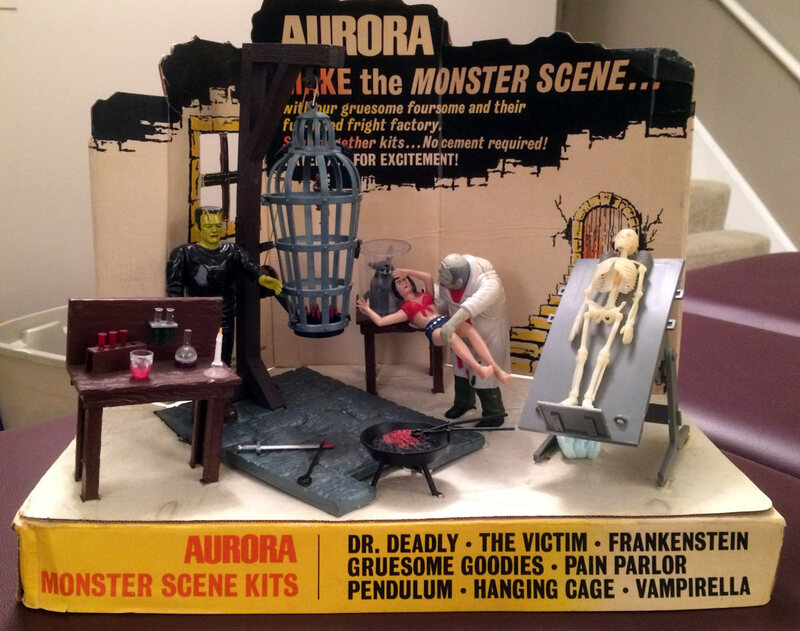 Any Mold-A-Rama and monster lover must have every color available! As a life long fan of the films of Paul Naschy and especially his character Waldemar Daninsky AKA El Hombre Lobo. Other than movie posters, I never thought there was any merchandise of any sortm until I spied this in a shop. 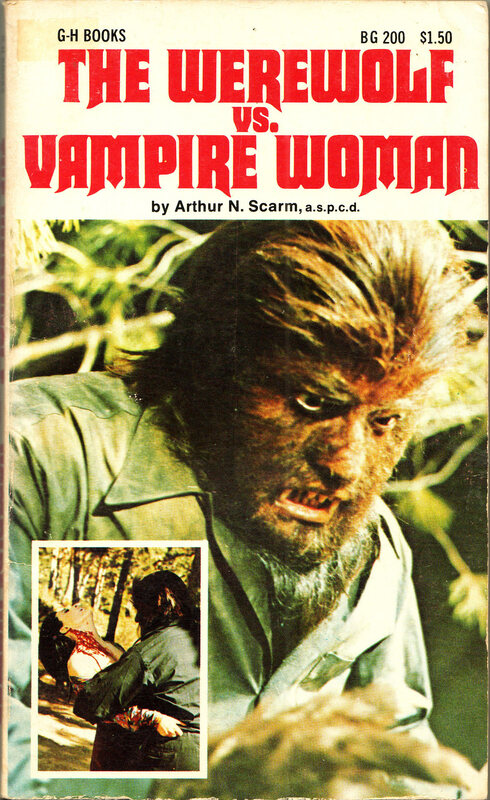 Somebody actually novelised "The Werewolf Vs The Vampire Woman" and I owe them many, many hugs! 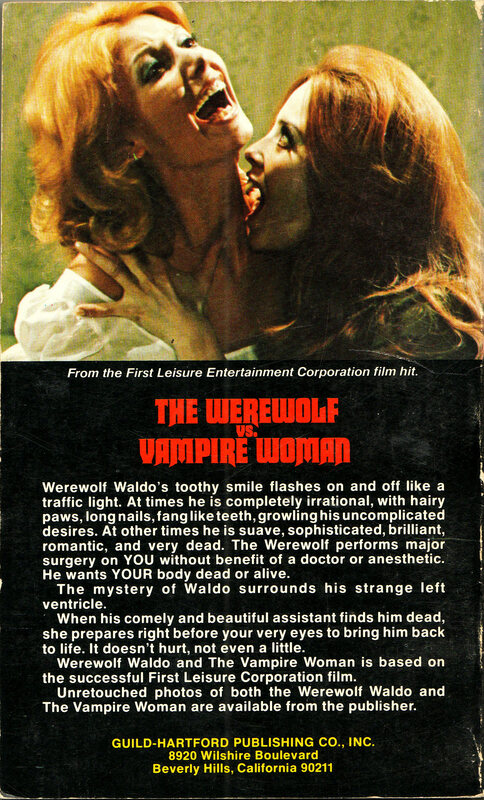 I haven't read this paperback but I certainly will.